Dr. Anne Zachry is an occupational therapist and a specialist in child development. In writing this book she has created an essential resource for parents of children aged 12-36 months. Topics that Dr. Zachry covers include learning and development, parenting styles and consideration in regard to the use of screen time and digital media. The discussion of the importance of play and playfulness and their benefits sets the stage for a rich assortment of activities organized by age and areas of development. The activities are based on interaction, creativity and the use of household or low tech items, providing a parent with a wealth of options to explore with their toddler. At the end of the book are references for the research shared throughout the book, a glossary and an index. 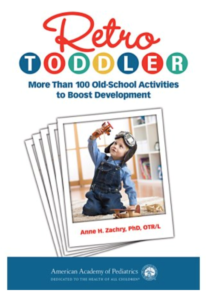 Parents will find this book to be a valuable resource to consult for an ongoing understanding of their toddler’s development and a guide in providing opportunities for enhancing their toddler’s motor, communication, play and thinking skills. 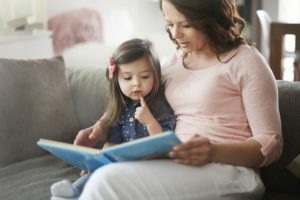 Want more info on your toddler’s development? Want even more games to play? Our baby games calendar has weekly games based on your child’s birthday from birth to 2 years old. 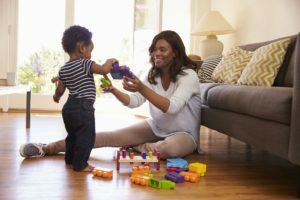 Find more info on your toddler’s development plus milestones!